We went up to the top of the mountains late last night to see moon, stars, meteors and planets at Springbrook Research Observatory Dome. The astronomer, Andre Clayden gave us an inspiring introduction about time and space. We saw planet Saturn and the moon (close-up) through his super-powerful lens. Elkan and I were intrigued by the “space talk” and all the expensive gadgets in the lab. The girls (including Meijie) were more interested in the hot tea and lamington cakes the host served. Aiyoo…. How do you go to this star glazing place? How far from surfer paradise? Is it difficult to go there or locate the place since it is dark. 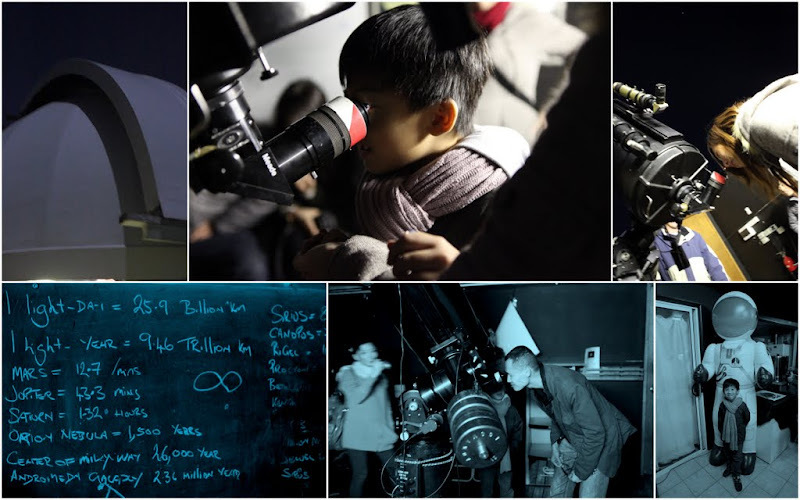 It is a small observatory lab where you can see the stars using a powered lens. Do check the weather before heading up.